Lily Rabe is Beatrice and Hamish Linklater is Benedick in Shakespeare’s Much Ado About Nothing, thei first of two free offerings by the Public Theater at Central Park’s Delacorte Theatre this summer. It’s turn-of-the-century Sicily where Don Pedro, prince of Aragon, (Mitchell) visits his friend and governor of Messina, Leonato (Glover) along with two of his offers, Benedick and Claudio (Jack Cutmore-Scott). Claudio falls in love with Leonato’s daughter, Hero (Ismenia Mendes) while Bendick falls into scathing banter with long-time thorn-in-his-side Beatrice, Leonato’s insulting, quit witted niece. While acquaintances scheme to make Beatrice and Benedick fall in love, Hero and Claudio’s marriage is threatened when Don Pedro’s treacherous illegitimate brother, Don John (Pedro Pascal), plots to besmirch Hero’s reputation. Betrayal, false death and a helpful Friar (Austiin Durant) -- not unlike the plot of Romeo and Juliet -- ensue, but with more comedic results as everyone makes a big ado about nothing. 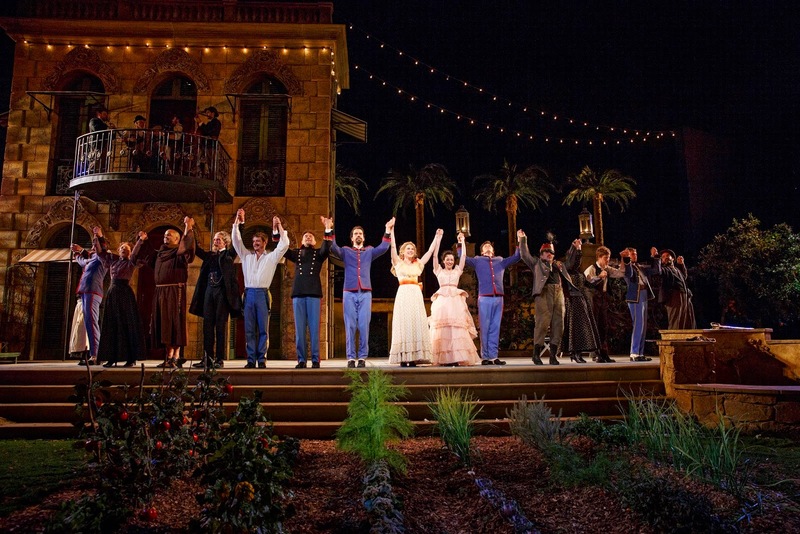 This production, directed by Jack O’Brien, who plays up bits for minor characters for humor, is light and fun and takes place on an imposing set designed by John Lee Beatty including sundrenched stucco balconies, vines, vegetables and palm trees blending in with the greenery of Central Park. Jane Greenwood designs the simple costumes that place the production around late 19th century. A four-man band directed by Nathan Koce serenades with accordion, horns, strings and woodwinds as well as vocal solos. Rabe is entertaining as the feisty Beatrice. While some of the dialogue sounds stilted and doesn’t flow easily for some of the other performers, sitting under the stars listening to the Bard isn’t a bad way to spend three hours in New York (except for those annoying helicopters that kept flying overhead). Tickets to the Shakespeare in the Park shows are free. Virtual ticketing is done by lottery online at www.publictheater.org on the day of the show. You also can stand in line at the Delacorte the day of the show beginning at noon (but the line starts forming way before that). Supporter tickets also are available. For more information, call (212) 539-8734. The next production will be King Lear, starring John Lithgow, beginning July 22.
continue to be a separate line for accessible tickets for senior citizens (65+) and patrons with disabilities. VIRTUAL TICKETING LOTTERY FOR FREE TICKETS will be available at www.publictheater.org on the day of the show. Summer is almost here and I know many of you are headed into the Big Apple. Every year I get tons of emails from readers asking which shows they should see while they are in New York, where to stay, where to eat and what to do besides see good theater. 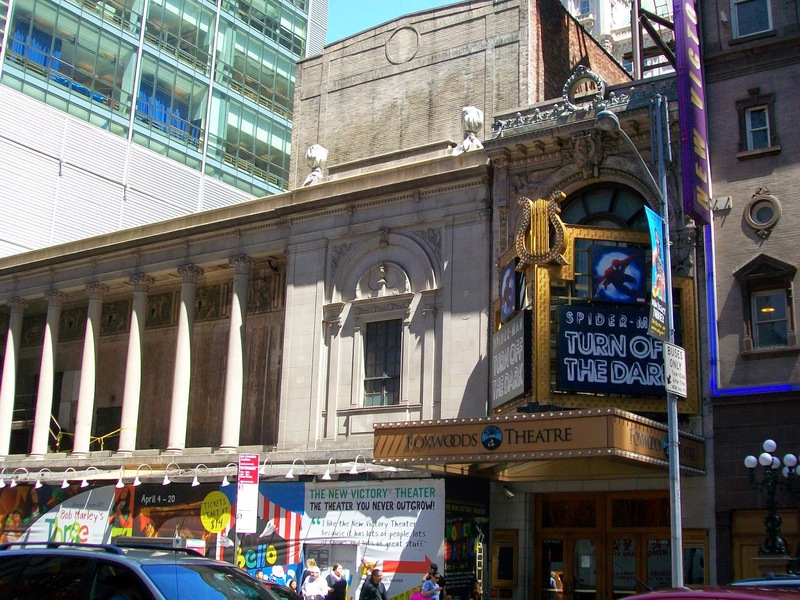 One option that combines theater with seeing the sites in the Broadway Up Close Walking Tours. We learned amazing history about rooftop parties on competing theaters on 42nd Street (did you know there once was a farm up there?) The tours are scheduled to last two hours and 45 minutes and cover a half mile of terrain without a break or a chance to sit, so comfortable shoes are recommended. In the span of a year between Nov. 9, 1964 and 1965, a lot happens: people fall in and out of love, leave home and return, find jobs and quit, live and die and there are moments of blessings and of curse before a blackout sinks the northeast into darkness. In the span of the two and a half hours it takes to tell the stories in Fly By Night, getting its New York premiere at Playwrights Horizons, I fell in love with Kim Rosenstock, who conceived the musical, and Will Connolly and Michael Mitnick who wrote it with her. Rarely are we treated to such a sharply written, enjoyable journey on the stage. 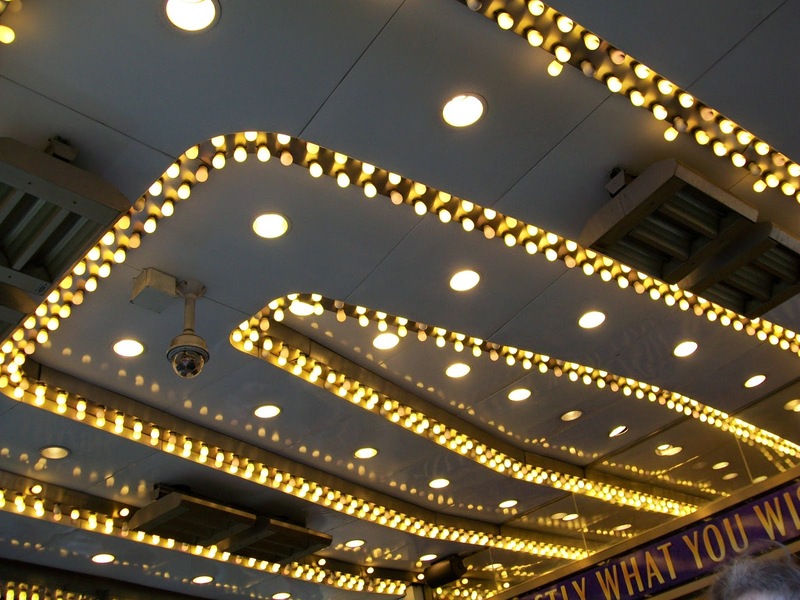 It's exciting, like a shooting star on which we wish all Broadway musicals would catch a ride. And stars do figure prominently in this tale of two sisters, a father and son, a playwright and a shopkeeper all trying to find their way in the dark. Beautiful Daphne wants to be a star -- on Broadway. She packs her bags, bids her mother and small-town South Dakota goodbye, and heads out the door. In tow is her sister, Miriam (Allison Case), who really is quite content being a waitress in the small town where she can remember nights with her father gazing at the stars. She's a star too -- but because she is made up of particles from the supernova that created everything. Daphne has a bad feeling about being in New York. It grows stronger when she encounters a gypsy fortune teller (played by Henry Stram, who as narrator, jumps in to play any characters needed to help tell the story) She predicts three signs and a great love for Miriam, followed by tragedy. 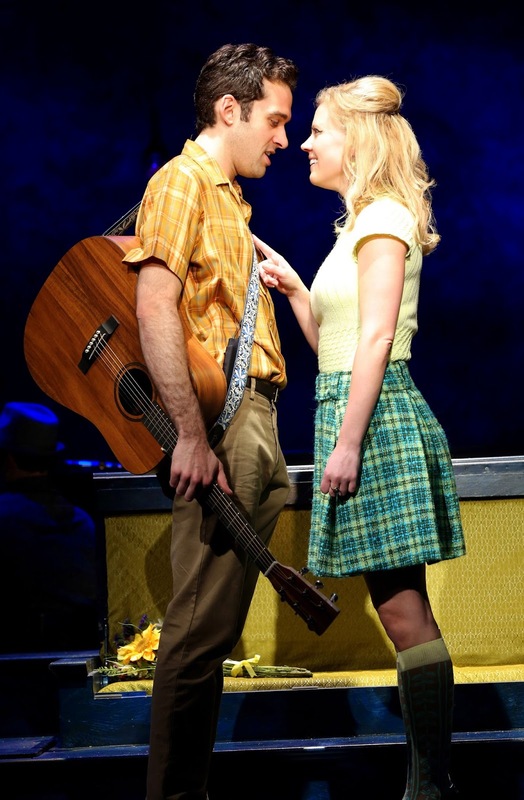 Meanwhile, Daphne finds love with Harold McClam (Adam Chanler-Berat) , who hopes to become a musician -- once he learns to play more than one note on the guitar that was his mother's. Her death has caused a chasm between him and his father, (Peter Friedman), who loses himself in her memory by carrying around a recording of La traviata that once meant something to him and his wife. Harold does write a song about being a turtle (backed up by Foe Destroyer, a five-member band directed by Vadim Feichtner), but spends most of his time at his day job, making sandwiches for boss Crabble (Michael McCormick), who's got "hum drum" down to a science. Dahpne's dreams of leaving her mundane job as a coat salesperson and becoming a star just might come true when Joey Storms (Bryce Ryness) falls for her and casts his muse as the lead in the new play he is writing and producing. Constant rehearsals keep her away from Harold, however, and he finds himself gravitating toward a star-crossed relationship with Miriam. Simply beautiful. Then, at the other end of the spectrum (blunt and crass), his oft-repeated mantra of sandwich making -- "Mayonnaise meat cheese ‘n lettuce" -- creates a Crapple who is simultaneously minstrel, prophetic, humorous and sad. His duet with Harold about the sandwich-making routine is a hoot. Cantor also assembles an excellent creative team to help propel the story with a lesson about how we all are connected and about how what we do on earth isn't nearly as important as with whom we do it. We love these characters and root for them. At intermission, audience members were discussing what they hoped would happen and humming the tunes. A scene between Harold and his father, beautifully acted, is one of them most touching I have witnessed on stage. The '6os period costumes (designed by Paloma Young) keep us anchored in time without making the show about the era and Lighting Designer Jeff Croiter, turns steps into bedrooms and the entire theater into a galactic wonder. And if that's not enough, the simple tunes give characters a chance to shine (Sound Designers Ken Travis and Alex Hawthorn create the right mix) with non-intrusive choreography by Sam Pinkleton. This one is stellar -- so much so that at the final curtain, I thought about buying a ticket to go back and see it again. It gets Top Pick Status. 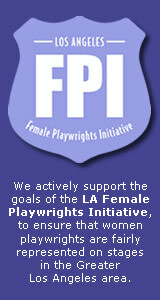 Fly By Night plays through June 29 at Playwrights Horizons, 416 West 42nd St., NYC. Performances are Tuesdays and Wednesdays at 7, Thursdays and Fridays at 8, Saturdays at 2:30 and 8 pm and Sundays at 2:30 and 7:30 pm. Single tickets are $80-95; www.TicketCentral.com; 212-279-4200 (noon-8 pm daily); Box Office, 416 West 42nd St. (between 9th and 10th avenues). So what does a director who wins the Tony, Drama Desk, Drama League and Outer Critics Circle awards do in his spare time? If you are Darko Tresnjak, Hartford Stage’s artistic director who just took all of those top directing honors for A Gentleman’s Guide to Love and Murder, you direct a rarely seen Off-Broadway revival of Eugène Ionesco’s dark, absurdist comedy The Killer, getting a limited run as the season closer at Theatre for a New Audience in Brooklyn. The Killer was last produced Off-Broadway in 1960, perhaps because it’s not an easy work to produce (Ionesco’s Exit the King saw success on Broadway in 2009 when Geoffrey rush took home Tony for best actor in a play and seems much lighter and funnier to me.) When I ran into Tresnjak at a Drama Desk reception held during the rehearsal period for the play, he admitted that he was finding the process very difficult. The Killer was appropriately named, he joked. Apparently he solved the puzzle of how to make this play work, because the production, starring Michael Shannon (“Revolutionary Road,” “Boardwalk Empire”), Kristine Nielsen (Vanya, Sonia, Masha & Spike, Bloody, Bloody Andrew Jackson) Paul Sparks (also “Boardwalk Empire) and Robert Stanton (a veteran stage actor whom you might know as the dad in the “Dennis the Menace” film), has been packing them in over at the Polonsky Shakespeare Center in Brooklyn and whether or not the audience “gets it,” they’re definitely talking about it. Here, a downtrodden Berenger takes the wrong bus one day and discovers a city of light – a virtual paradise—where everything is clean, the gardens are lush and the sun shines perpetually. Lighting Designer Matthew Richards shines as he adds to the storytelling with effects that cast shadow on the less-than-Eden-like features of the paradise, evidenced by sewer grates and a creepy lagoon that appears on the dark set with rotating circles designed by Suttirat Larlarb (who also designs the costumes). The Architect of this place (a comically adroit Robert Stanton) looks a bit familiar. He omnisciently listens to Berenger while chatting on his cell phone (the updated translation of Ionesco’s play is by Michael Feingold) and running a bureaucratic office with the assistance of Dennie (Stephanie Bunch), with whom Berenger falls in love at first sight. Highlight of the second act (there are three in all for just over three hours at the theater) is the appearance of a whacky (but dark, remember, this is Ionesco) concierge played by Kristine Nielsen, a favorite stage actress of mine who can make pushing a broom around seem like the funniest thing you’ve ever seen. She doesn’t disappoint here. She also plays Ma Piper, a totalitarian dictator dominating a political climate where protestors are rounded up by the police. Shannon also gets a shining moment in a long monologue climax where he confronts the killer and tries to convince him that his actions are wrong. Now, if you are looking for some answers about what this play is all about, let me direct you to Spark Notes. 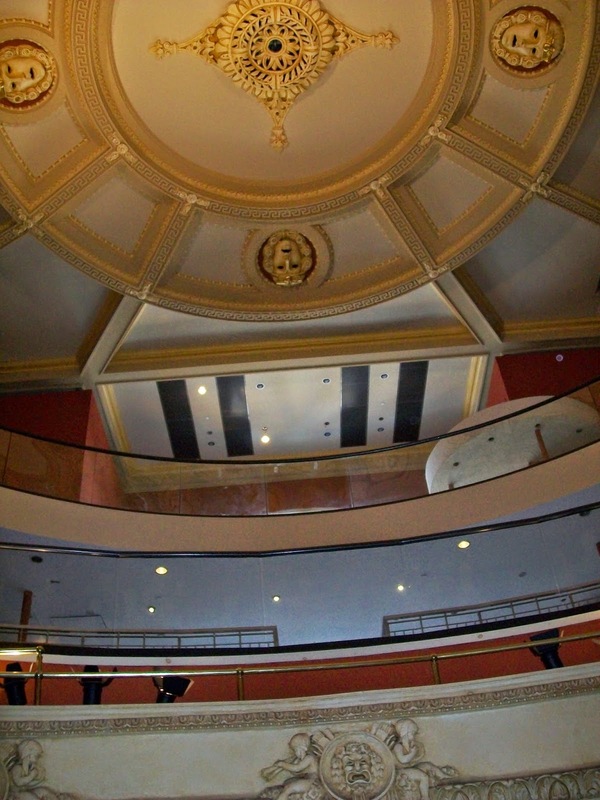 This type of theater is called absurd for a reason. Besides telling you there is a metaphor here for Original Sin and the fall of man as well as some references to the Occupy movement thanks to Feingold’s modernization of the text, there is a lot open to interpretation. Tresnjak doesn’t try to answer the questions about life and death and purpose that are raised here, but instead focuses on the humor that helps us to ponder them. Good choice. Humor provides a way to fit the pieces of the puzzle together and if you run down to New York to see this limited run before it ends on June 29, you just might see the jigsaw come into focus. The Killer runs through June 29 at the Polonsky Shakespeare Center, 262 Ashland Place, between Lafayette Avenue and Fulton Street, Brooklyn. Performances: Tuesday through Sunday evenings at 7:30 with matinees Saturdays and Sundays at 2. http://www.tfana.org/season-2014/killer/overview. Some of the Best Broadway Dads; What Names Would You Add to the Top Ten? In honor of Father's Day, and my own father who introduced me to Broadway, here are a few of the best dad characters from Broadway shows. What name would you add to fill out this Top-Ten list? Jean Valjean from Les Mis: Jean adopts Cosette when her mother, Fantine, dies, freeing her from the tyranny of the innkeepers who were charged with her care. He loves her as his own and risks his life to save Marius when he discovers that the young boy has won Cosette's heart. Charlie Anderson from Shenandoah. Widower Charlie raises a brood of boys and a daughter and tries to keep his family out of the Civil War. His strong patriarchal presence is tempered with softness as he comforts his daughter, worried about her new husband's fate as a soldier and shoulder's a parent's worst nightmare when his youngest son is taken prisoner. Tevye from Fiddler on the Roof. Putting his children first, no matter how difficult, he supports his daughters' desires to marry for love rather than tradition. He also conveys love for his wife. Oliver Warbucks from Annie. The guy's got millions and FDR in his pocket and he is willing to share it all with a little orphan girl and her dog. The Founding Fathers of the musical 1776. The Sherman Edwards musical still gives goosebumps when the roll is called at the end to form a new nation. Father, from Life with Father, still Broadway's longest running play. The banker who runs his home like a drill sergeant masks a deep love for his wife and children. Guy's father in Once. Moved by his son's musical talent, Da gives him the financial backing needed to pursue a career in the USA. Bob Cratchit from A Christmas Carol. 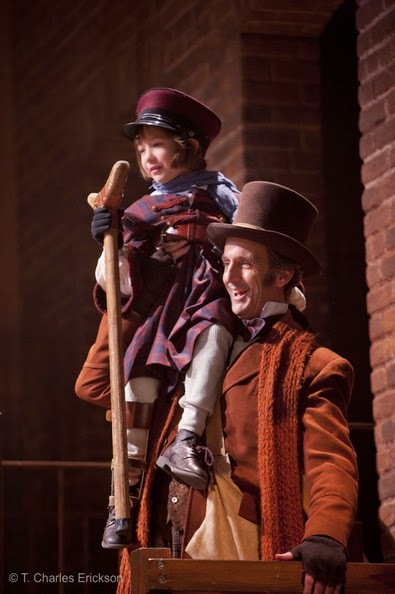 Whether we see this is play or musical form, Bob always takes Top Father honors as he puts up with Scrooge to provide for his struggling family. He never holds back showing his affection for his wife and children, especially when hoisting Tiny Tim up on his capable shoulders. Which dad would you put in this slot? La Mama E.T.C., in association with the Magis Theatre Company’s Logos Project, presents *mark, performed by George Drance, directed by Luann Jennings, with original music composed by internationally acclaimed, award winning composer Elizabeth Swados. *mark will be presented at La Mama’s First Floor Theatre, 74A East 4th Street (between Bowery & Second Avenue) in Manhattan through Sunday, June 15. Performances are Thursday, Friday, Saturday at 7:30 pm and Sunday at 2:30 pm. The Gospel of Mark, the oldest of the four gospels, had an early tradition of being performed aloud from start to finish. Written during Nero’s brutal persecution of the followers of “the Way,” the Gospel of Mark was recited in its entirety, giving courage to this community of quiet rebels whose radical compassion threatened the Empire’s status quo. Today it is rare for an audience to hear this gospel performed in its totality, or to experience it with the immediacy of that dangerous period of oppression. 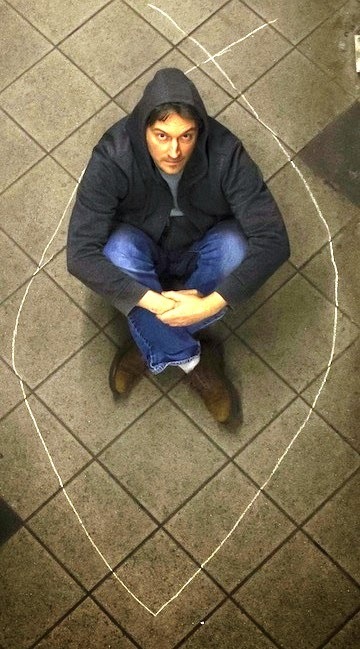 In his contemporary solo performance, Magis Theatre Company’s Artistic Director George Drance examines the message of commitment and love through the eyes of a street artist, using drawings to illustrate and illuminate the text. Magis Theatre Company, founded in 2003, is an ensemble of actors and teaching artists, who came together out of desire: desire to teach, desire to train, and desire to act. The company has produced a variety of actor driven, physically based theatre productions that explore the human condition. Drance, artist-in-residence at Fordham University, has performed and directed in more than countries on five continents. He has served as artistic director of Theatre YETU in Kenya and artistic associate for Teatro la Fragua in Honduras. Drance has been a guest artist and lecturer at Columbia, Cornell and Marquette University. 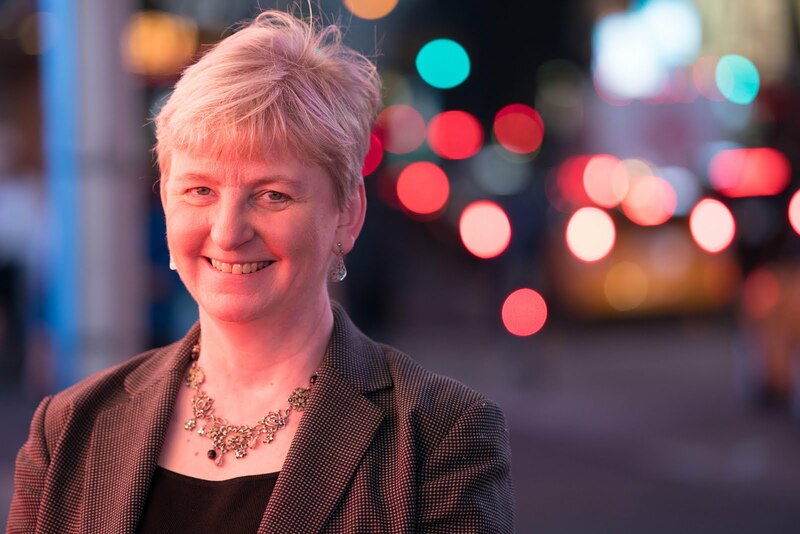 Perhaps best known for her Broadway and international show Runaways, Swados has composed, written, and directed issue-oriented theater for more than 30 years. 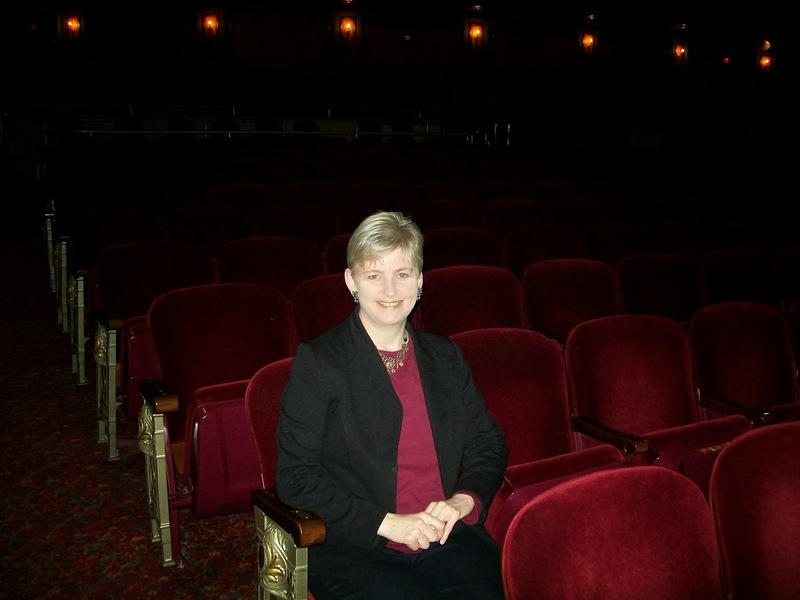 Some of her works include the Obie Award winning Trilogy, at La Mama Alice at the Palace with Meryl Streep at the New York Shakespeare Theater Festival and Groundhog, which was optioned by Milos Forman for a film. 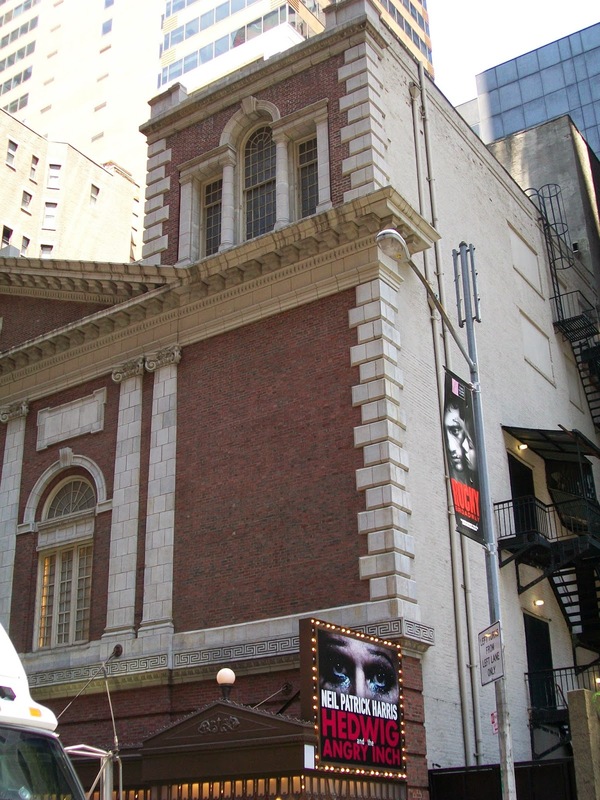 Awards include: Five Tony nominations, three Obie Awards, a Guggenheim Fellowship, a Ford Grant, the Helen Hayes Award, a Lila Acheson Wallace Grant, PEN, and others. 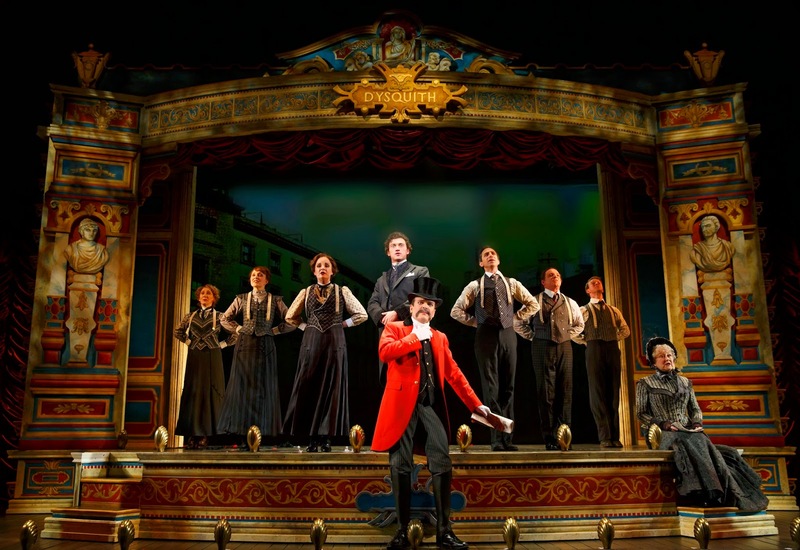 The cast of A Gentleman's Guide to Love and Murder with Bryce Pinkham as Monty Navarro (standing center), Jefferson Mays as Lord Adalbert D'Ysquith (red), and Jane Carr as Miss Shingle (seated) in a scene from "A Gentleman's Guide to Love and Murder" at the Walter Kerr Theater. Photo credit: Joan Marcus. Dale is a marvelous entertainer and storyteller (aided by piano accompanist Aaron Gandy). He's not afraid to laugh at himself and as a result, he has the audience rolling. The story about a blind guy and a salami almost did me in. One of those laughs that grips a hold of you long after the story is done and makes you wonder whether you'll ever stop. It has been a really good Broadway season culminating in a list of Tony Award nominations that are missing some great additions (because there just aren't enough slots in each category) and which make it really difficult who will walk away with the Antoinette Perrys this Sunday. In just about any category, no matter who wins, I will think it was deserved. That's pretty incredible. Meanwhile, here's who I think will win and why. Find out if I'm right. I'll be live chatting during the event on Facebook at https://www.facebook.com/lauren.yarger. Everyone contributing to the conversation during the Tonys will be entered in a drawing to win a prize.You can watch on CBS starting at 8 pm Eastern. Some pretty good plays here. I especially loved Outside Mullingar, a delightful trip to Ireland starring one of my favorite actors, Bryan O'Byrne, and Deborah Messing in her Broadway debut. Loved it and am glad to see it nominated. Act One is a love letter to the theater. Marvelously acted (Tony Shaloub, another favorite actor), directed and staged. It's success no doubt has opened doors for Moss Hart's You Can't Take it With You to open on Broadway next season. A personal favorite play, it will star none other than James Earl Jones and Kristine Nielsen. Heaven. I thought All the Way had a really a good book which incorporated a lot of history without being boring (at about three hours), but Bryan Cranston's portrayal of LBJ sets it apart. Mothers and Sons managed to give us a gay-issues play with a different perspective -- looking back years after the AIDS crisis and how a lot -- and not much -- has changed. Casa Valentina gave us John Cullum on stage, so I was happy. It also gave us an interesting story about a little known part of history -- a club for heterosexual men to get away and indulge in their desire to dress as women. It has a powerhouse cast including Reed Birney who is nominate for his chilling portrayal of a homophobic transvestite and Mare Winningham, also nominated, as the wife of the club owner who tries to be supportive of her husband's alter ego, but find it increasingly difficult. This is a really tough one. Can I predict a tie between Act One and All the Way? Probably not. I'll have to go with **All the Way. This group is not the group I expected to see at the start of the season. First off, After Midnight, which I loved with charming emcee Dule Hill (another favorite actor) is really a revue, not what I would consider a musical. So it's hard to compare it to full-scale Broadway musicals like the others in this category. It's really good, though, with the best choreography (Warren Carlyle will win in that category -- see below) and some of the most entertaining moments on stage (there's even a rotating list of guest stars). But it won't win. Aladdin was great. The best Disney musical on stage since Beauty and the Beast. The performances are good (the genie is a shoo-in in his category), the choreography is great and the costumes and sets are breath taking. I predict a long run for this one and am excited to see the stage adaptation of Frozen. Beautiful was one of the most enjoyable nights I spent at the theater this year. Jessie Mueller's portrayal of song writer/singer Carole King is amazing. 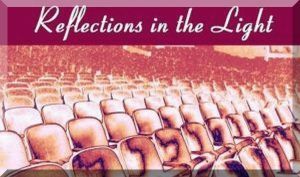 All of the performances are good and listening to all of that great music is enough in itself to send you to the theater, but the songs are built into a terrific book that has real-life drama and some good lessons. This category is neck-and-neck between Beautiful and A Gentleman's Guide to Love and Murder. Gentleman is kind of sleeper that has gained momentum, especially when other greatly anticipated contenders, like The Bridges of Madison County, If/Then and Bullets Over Broadway, fell short of expectations. That is not to say it isn't a good musical. It is fun and light and silly. And Jefferson Mays, who plays eight different parts, is entertaining. It premiered at Hartford Stage where I thought it was fun, but would never have guessed it would go on to win the Tony. It has a lot of momentum behind it though, and just might. I still think the Tony voters, many of whom are CEOs of presenting houses that book the tours across the country, will bank on the appeal of Carole King with their mostly female ticket buyers, most of whom grew up singing her songs, so I predict **Beautiful. Daniel Radcliffe and a delightful supporting cast gave us a nice, if unremarkable night in Inishmaan and amazing set design with looming pools in the abyss and girls disappearing into couches still remain etched in my memory after The Glass Menagerie. 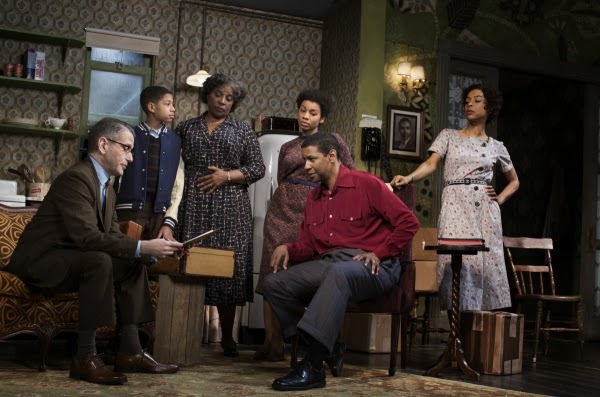 I loved this revival of A Raisn in the Sun with every cast member giving a truly excellent performance, including Denzel Washington. I'm kind of shocked the buzz hasn't been more in its favor. I would have voted for it. Twelfth Night gave us Shakespeare as it was done in the bard's day. An all-male cast played all the parts and even got into costume on stage where audience members sat for an up-close and personal experience. Any time Mark Rylance is in something, go. I think the Tony will go to Twelfth Night**. I enjoyed Sutton Foster in Violet and the faith-based story of a woman who wants to change. The show featured Joshua Henry, whom I think should be required to be in every musical produced (it was a good year for favorite actors!). Too long absent from a Broadway stage, we rejoiced with a new revival of Les Miserables. 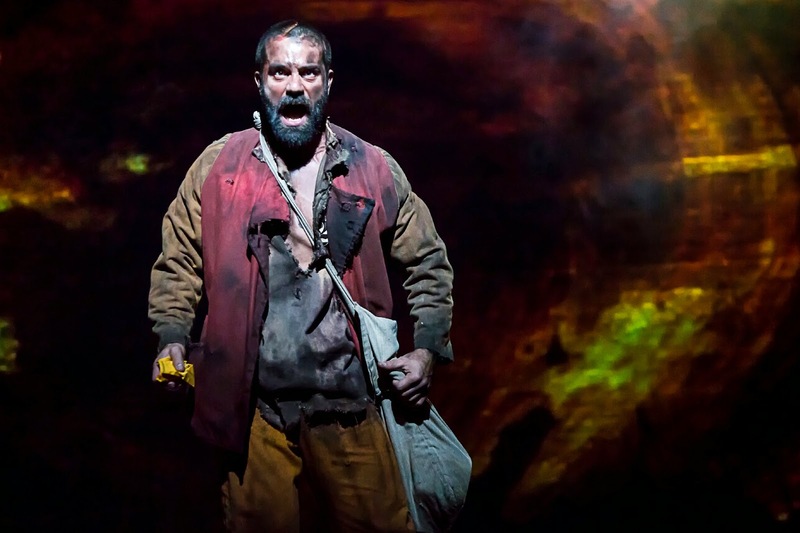 It's got a few flaws, but Ramin Karimloo as Jean Valjean is not to be missed. His rendition of "Bring Him Home" is worth the ticket price. Hedwig is packing them in over at the Belasco where Neil Patrick Harris and Lena Hall rock out as transgendered folks. It's a fabulous production. Good performances, amazing sets and lighting and really good music. Just wish there were a story that didn't make me feel like I just wasted a part of my life. Hedwig** will win the Tony. It's not even close. Of these, my favorite was Beautiful. I also thought Marsha Norman's book for The Bridges of Madison County was terrific, but apparently the Tony nominators did not. If/Then was a big disappointment. The team who gave us Next to Normal, one of my favorite scores ever, just never quite got this one together. Aladdin we know from the animated film. Bridges was a marvelous score. Operatic with Kelli O'Hara and Stephen Pasquale singing their hearts out. Gentleman's is fun. What you don't see listed here is First Date, which I thought had a good score, but it was very early in the season, so was forgotten. Bullets Over Broadway was so-so. The winner here will be **Bridges. **Bryan Cranston will walk away all the way away with this one. No contest. **Audra McDonald needs to move the other five Tonys on her mantle over to make room for another. 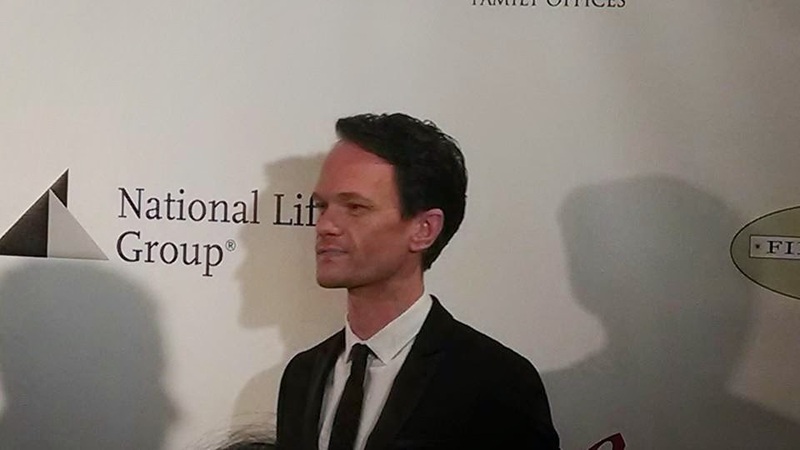 **Neil Patrick Harris. Hands down. There's strong support for O'Hara, but I think it will be **Jessie Mueller. Tough one. I personally was blown away by Sophie Okonedo, but I don't think she'll win. It's between Mare Winningham and Celie Keenan-Bolger. I think the Tony will go to **Mare Winningham. **James Monroe Iglehart's name was engraved on the Tony the minute he popped out of the lamp. This is a very difficult category. Lena Hall is a favorite and has been charming on the party circuit, as has Anika Larsen. Linda Emond's performance was pretty darn good though. Toss up between Casa Valentina and Twelfth Night. I'm going to go with **Twelfth Night. I loved the costumes from After Midnight. Wiliam Ivey Long's creations for Bullets were stunning. Gentleman's Guide's are impressive too. I don't know for sure. Toss up between Glass Menagerie and Twelfth Night. I'm going to predict **Glass Menagerie. This is between Michael Mayer and Darko Tresnjak. It's Darko's first nomination, though, so I am going to go with **Mayer and hope I'm wrong. 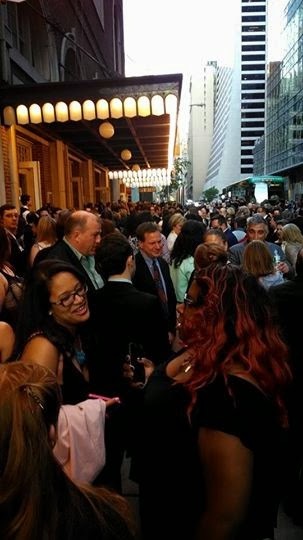 If I am, you'll hear a cheer from Hartford where Hartford Stage is hosting a Tony Party (which was too expensive for me to attend or I'd be over there cheering with them instead of watching it at home on TV with you). So pop some popcorn and join me for Tiny Night tomorrow at 8 pm! The red carpet arrivals outside of Town Hall. For the record, here are the winners of the 59th annual Drama Desk Awards (in bold). The Complete & Condensed Stage Directions of Eugene O'Neill Vol. 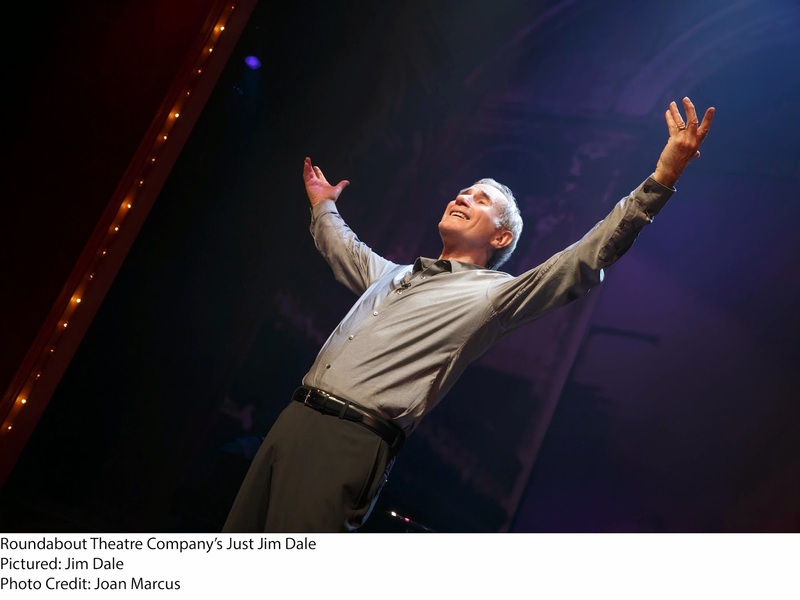 · To Soho Rep.: For nearly four decades of artistic distinction, innovative production, and provocative play selection. · To Veanne Cox: For her ability to express the eccentricities, strengths, and vulnerabilities of a range of characters, and notably for her comedic flair as evidenced in this season's The Old Friends and The Most Deserving. · To Ed Sylvanus Iskandar, the Sam Norkin Off-Broadway Award: For his visionary directorial excellence. This season's The Golden Dragonand The Mysteries exemplify his bold and strikingly original imagination. · To the ensembles of Off-Broadway's The Open House and Broadway's The Realistic Joneses and to the creator of both plays, Will Eno: For two extraordinary casts and one impressively inventive playwright. Individual artists and productions singled out for these special awards are not eligible in their competitive categories.